The Rocky Horror Show UK Tour is currently touring the UK. Get ready to do the Time Warp and Book Now! With book, music and lyrics by Richard O’Brien, The Rocky Horror Show UK Tour has been an audience favourite since it first premiered at the Royal Court Theatre on 19 June 1973. 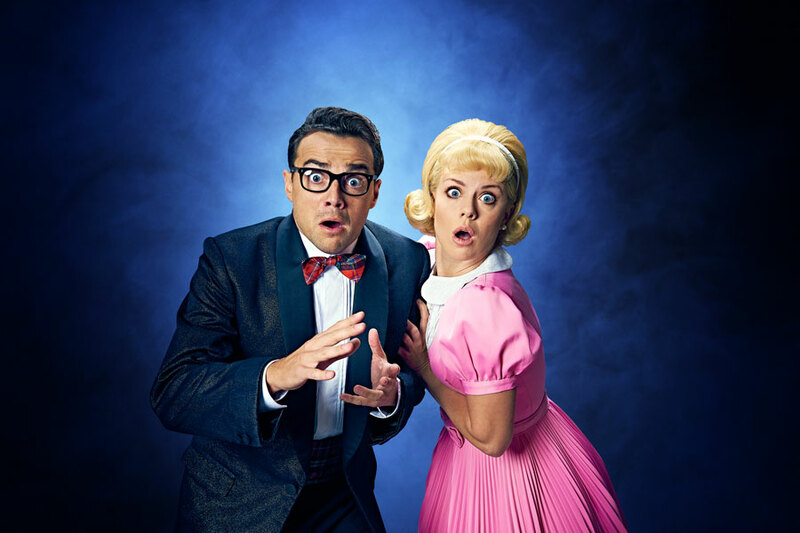 The Rocky Horror Show UK Tour tells the story of Brad and his fiancée Janet, two squeaky clean college kids who meet Dr Frank’n’Furter by chance when their car breaks down outside his house whilst on their way to visit their former college professor. It is an adventure they’ll never forget, with frothy fun, frivolity, frolics and of course, those famous frocks. This classic musical extravaganza will star Blue singer and Hollyoaks actor Duncan James* and West End star Stephen Webb* as Frank, Strictly Come Dancing Champion Joanne Clifton* as Janet and a1’s Ben Adams* as Brad. Kristian Lavercombe will also be reprising his role as Riff Raff, following more than 1300 performances in The Rocky Horror Showaround the world. Directed by Christopher Luscombe, the smash hit show features all of the famous musical numbers which have made The Rocky Horror Show such a huge hit for over four decades, including “Sweet Transvestite”, “Science Fiction/Double Feature”, “Dammit Janet” and, of course, the timeless floor-filler, “The Time-Warp”. Duncan James performs at Oxford, Southampton, Liverpool, Birmingham, Bristol, Stoke-On-Trent, Blackpool, Glasgow, Leeds, Nottingham, Edinburgh. Stephen Webb performs at Brighton, Manchester, Sunderland, Milton Keynes, Wimbledon, Sheffield, Torquay, Woking, Belfast, Bromley, York, Dartford. Joanne Clifton and Ben Adams perform until 25 May 2019. Dom Jolly, Alison Hammond, Steve Punt, Alison Hammond and Philip Franks. 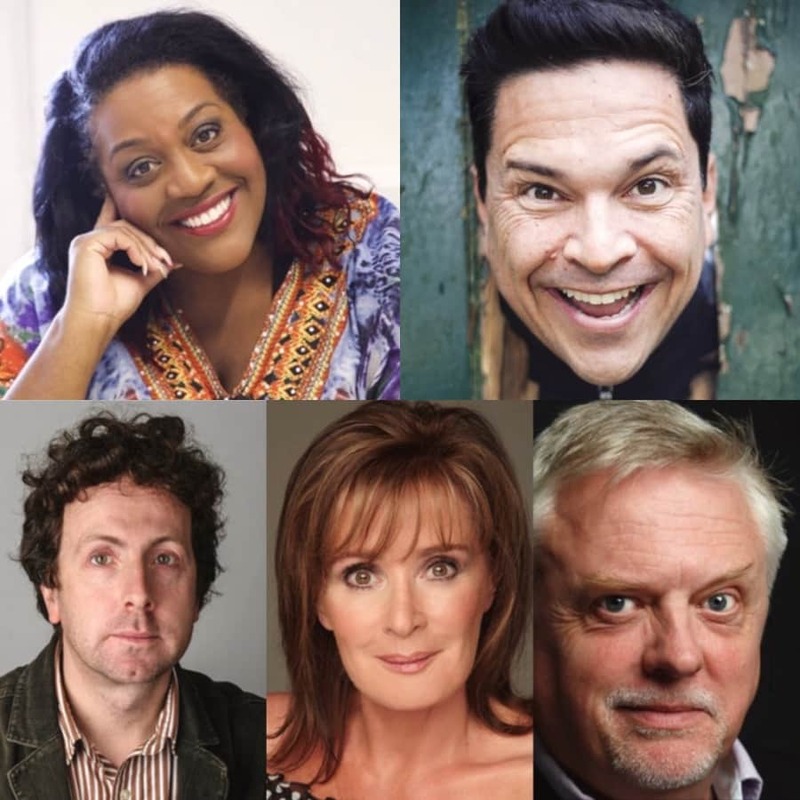 Comedian Dom Joly, actress Beverley Callard, TV presenter Alison Hammond, comedian Steve Punt and actor Philip Franks will star as The Narrator in the 2018/9 UK tour of The Rocky Horror Show. The five stars will take to the stage to perform the iconic role at various moments during the new national tour of the show, with more celebrity narrators to be announced over the coming months. Other cast include Miracle Chance (Columbia), Ross Chisari (Eddie/Dr Scott), Callum Evans (Rocky), Laura Harrison (Magenta/Usherette), Reece Budin, Shelby Farmer, Katie Monks, and Jake Small, Andrew Ahern (Swing & Resident Choreographer) and Maddie Hope Coelho (Swing and Dance Captain). The Rocky Horror Show UK tour will be directed by Christopher Luscombe, designed by Hugh Durrant, costume designs by Sue Blane, choreography by Nathan M Wright, lighting by Nick Richings and sound design by Gareth Owen. The Rocky Horror Show UK Tour Tickets are now available.